In this White Paper, we will investigate the motives driving increased scrutiny of board composition in today’s world. We then explore strategies for creating a more effective board composition that can build synergies and create value in the board room. Finally, we will talk about harnessing technology to increase board effectiveness. 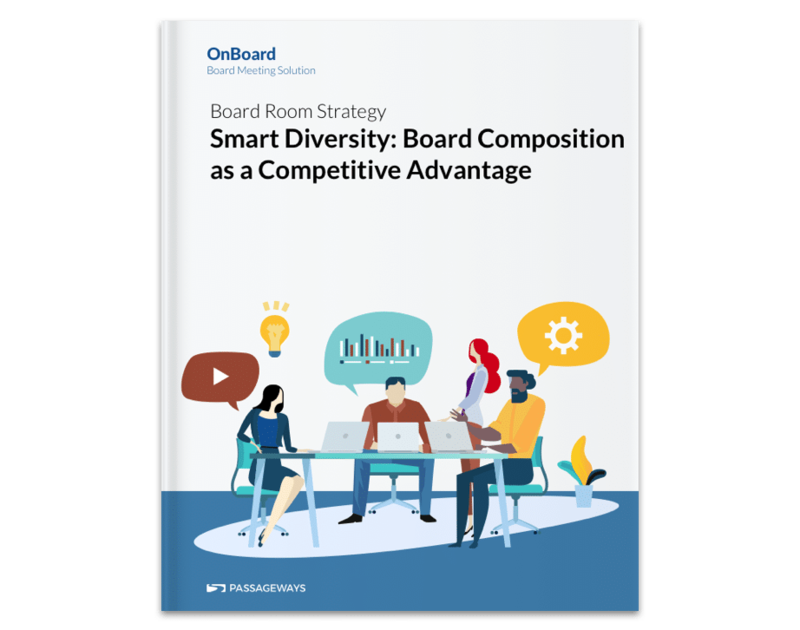 In this White Paper, we provide 3 real strategies for reevaluating board composition, explain what motives are driving scrutiny and evolution of board composition, and provide real guidance on building competitive advantage with a diverse board of directors.